This drum is very funny that allow you to be a drummer. 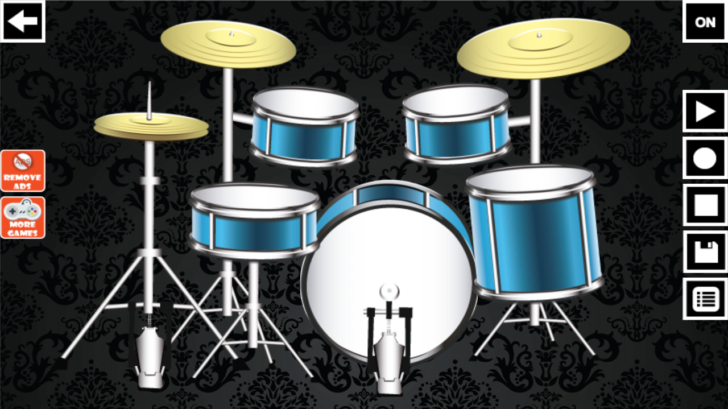 You will love this drum set. When first played, you may not be able to correctly touch the drums with your fingers. Play the Drum 2 game continuously for a few hours or days, and you will be surprised at the mobile development of your hands. Drum 2 game must be played in the presence of a mother or father, and it is encouraged for you to guide your kids through the game for a few days at first. This game may be too advanced for infants under 6 months old.